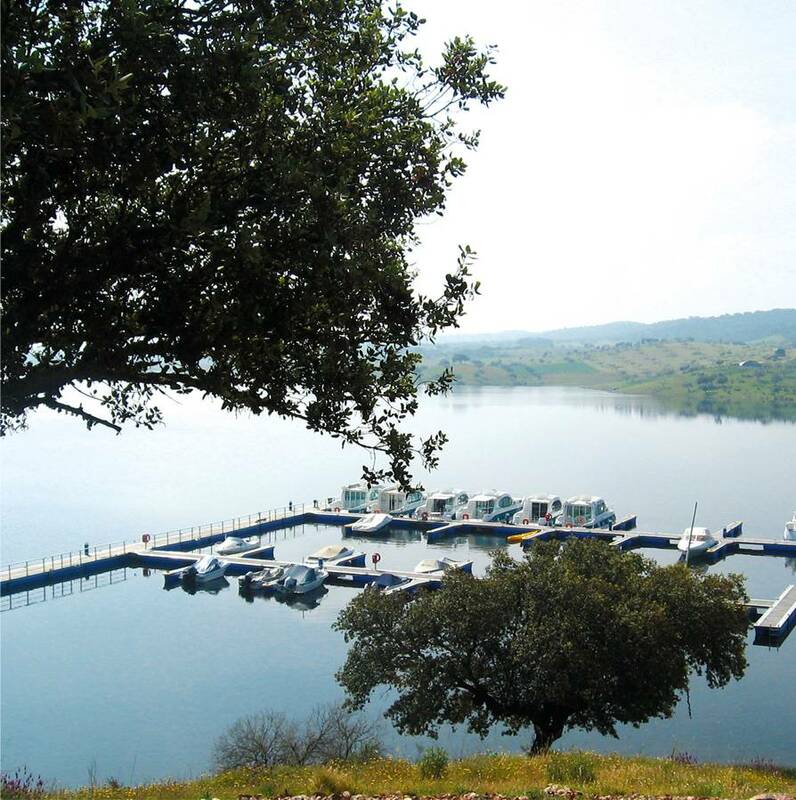 The aim of Amieira Marina is to give its clients the opportunity of enjoying an exceptional river tourism experience, enabling them to discover the magic of the Alentejo at the Alqueva Lake. 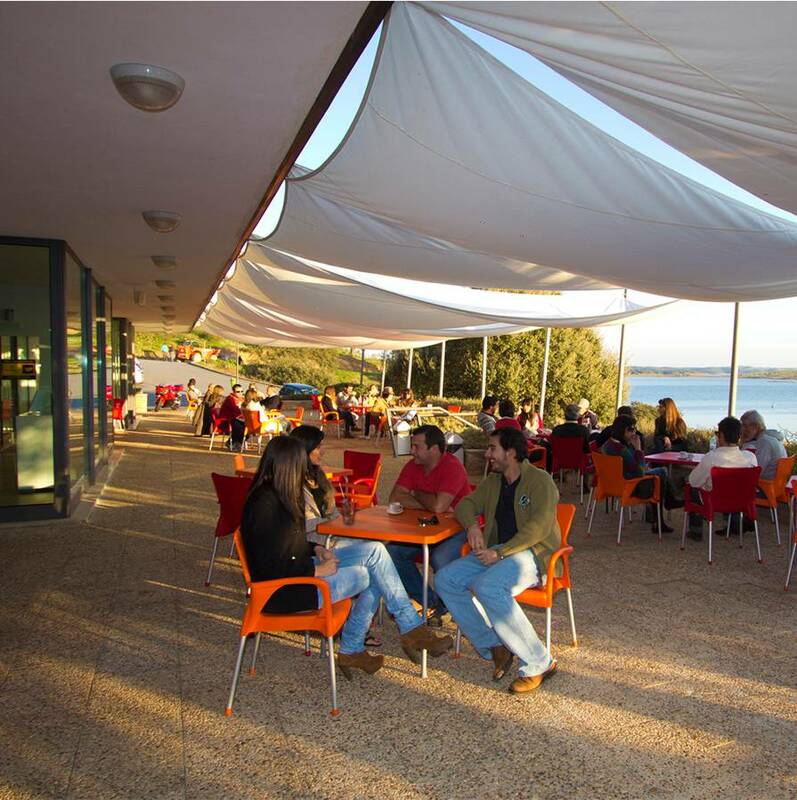 In the heart of the Alentejo, visitors can enjoy various unique activities: Small Cruises, Houseboat accommodation, Floating Houses. Fall in love with what this wonder of nature has to offer. But there's more... We also have some great ideas and solutions for your company's events or for your family. 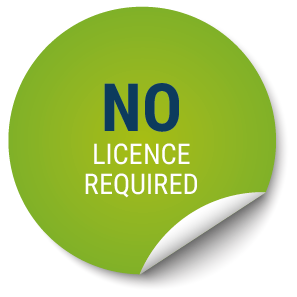 Boating licenses… are not required on a boat? 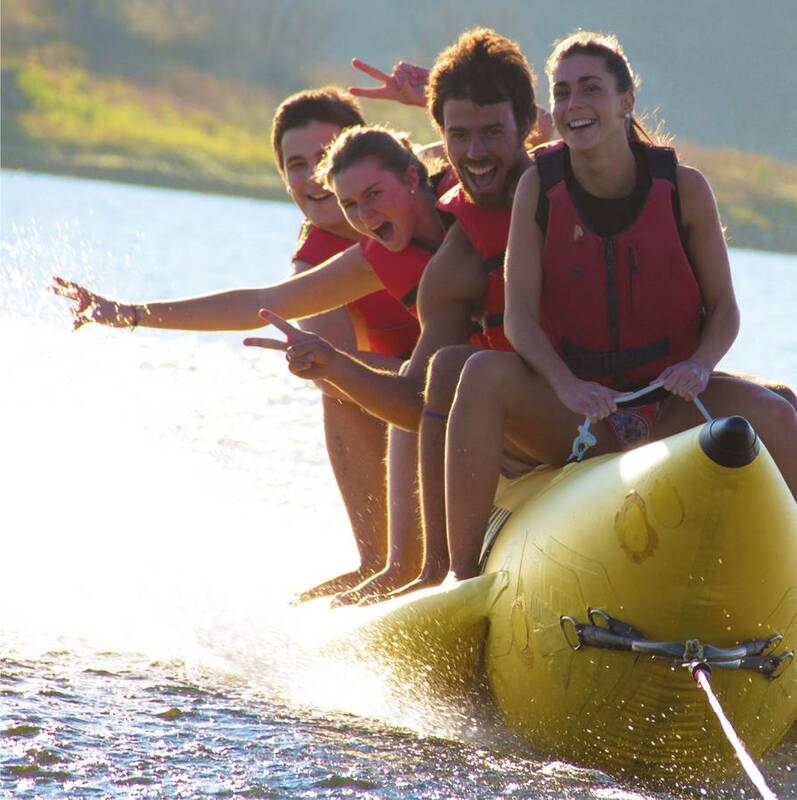 In Portugal, as in the rest of Europe, the law does not require you to have a boating license for boats under 15 m long and with a maximum speed of 12 km/h. The entity renting the boat is also responsible for ensuring the ideal technical conditions and for providing safety equipment, such as an eco sounder/sonar, a GPS navigation technology, special maps and a mobile phone. You are also required to take out an insurance policy with a security deposit to cover all the inherent risks and to limit the area where the rental takes place. 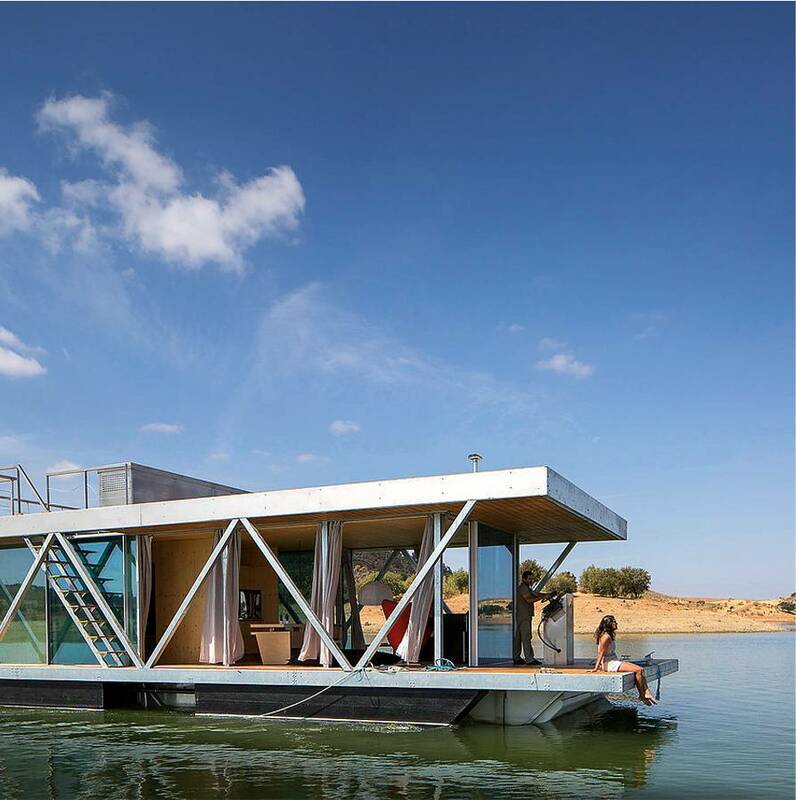 All our houseboats (Nicols) meet these criteria, therefore in the light of European legislation we comply with the conditions for its application. Clients are briefed in detail about the characteristics of the boat, sailing conditions on the lake and technical details, and will have to do some practical exercises to show that they are fit to sail the boat. Note that after the 2-hour training (approx. ), the client is fit to sail that boat on the Alqueva Lake during the rental period. 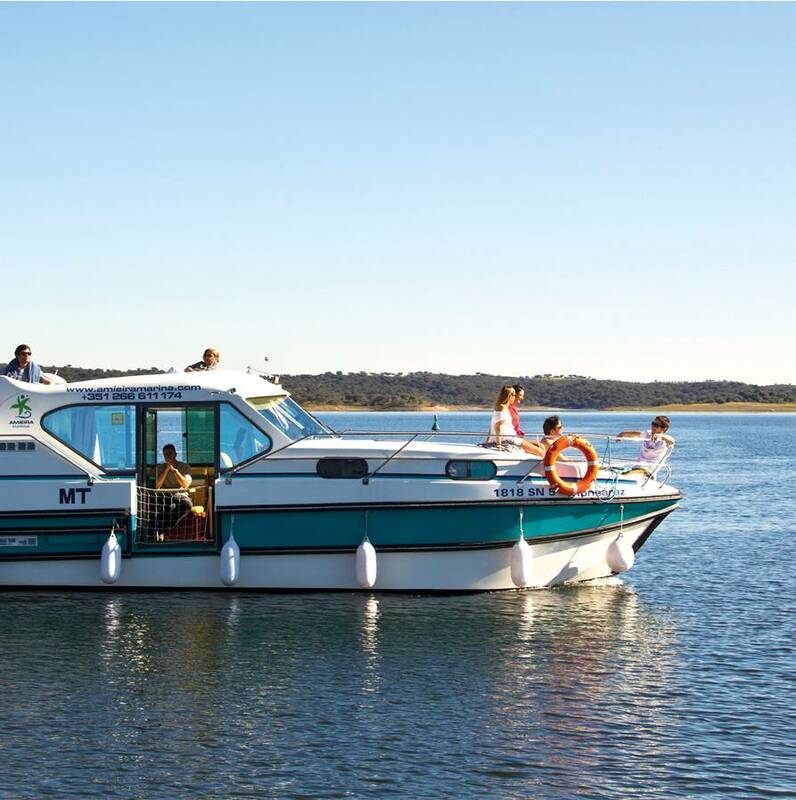 No title or aptitude certificate will be given for any other boat anywhere else or at any other time other than specified for this rental. 8. The fact that you have receive the required training for sailing your rented boat does not entitle you to rent any other boat (even if a similar one), anywhere else or at any other time. It is only valid for your rented boat, on the Alqueva Lake, during the rental period. Sailing… without ever sailing before? The boats are specially designed for recreational sailing and no specific competence is required to navigate it. On the day you leave the Amieira Marina, a technical team will accompany the client to the boat and will explain the operation of the main equipment and devices onboard, followed by an introduction to sailing. All you need is the key for the ignition, the forward and reverse gear (to brake and stop) and the will to learn. Anyone one can become a sailor in no time at all! Sailing with children… is it safe? The boats are equipped with double side protective rails, and the back door has a child lock for more safety (unique on the market). If you want to take your children with you, we recommend the Sedan and Estivale series, with a terrace at the back on the same level as the remaining living space, for various reasons: no stairs for the little ones; the terrace at the back has 1-meter high side protections in polyester; good clear view of the back deck from behind the steering position, so you can keep an eye on the children. However, every tour poses risks: we recommend that children wear lifejackets at all times. You can find smaller-size lifejackets for children at the Amieira Marina (up to 30 kg), you just have to ask for them. What do I do if the boat breaks down? The Amieira Marina has a repair and maintenance service available for clients every day during normal working hours. Provided that this is necessary, the technician will be available 24/7. Should your boat break down, contact the Amieira Marina using one of the phone numbers available on the boat to inform about the nature of the malfunction, and its location. A technician will meet you as soon as possible. If the fault is not the responsibility of the client, there will be no charges. How will I get around in such a large lake? At the beginning of the training you will be given a map of the Alqueva Lake with all the important references. The boats are equipped with easy to use GPS. These devices have a specific map for the Alqueva Lake, indicating the main safe routes and the location of buoys - which will help you move around as they are numbered and show the initials of the rivers or tributaries where they are. You'll see that the explanations given at the beginning will make it easier for you to work with the GPS. The GPS also shows the lakeside village jetties and some of the places where you have to be extra careful because of the shallow water. 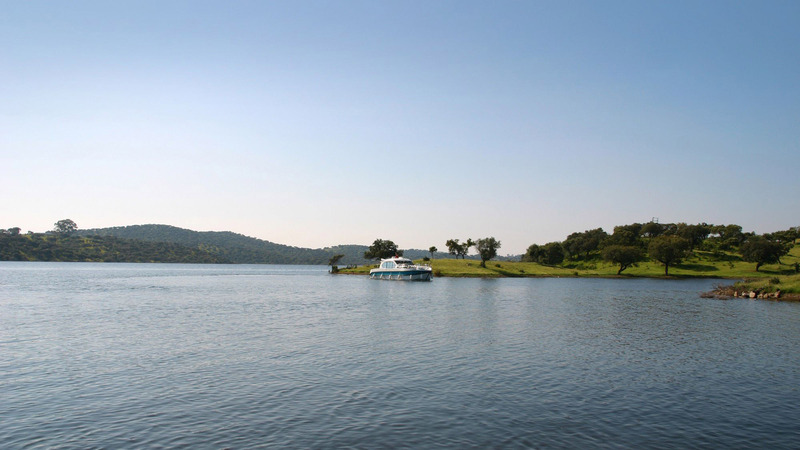 The surface of the Alqueva Lake is of about 250 km2 and 83 km in length, so you can sail from Amieira to the Juromenha village on this large body of water. Is the dam safe and obstacle-free? A dam can be safe provided that proper precautions are taken and some obstacles are avoided. There is a tested safe route available to all clients, so you just have to follow it. In addition to the GPS, the boats at te Amieira Marina (houseboats) are equipped with a sonar. This device gives you the exact depth of the lake and shows the obstacles along the way, especially those below the water level. The sonar displays the information at 90 ° to the front of the boat and also gas an alarm set for about 3 m deep, which will be activated when the boat sails in shallow waters. you can enjoy and adventure and explore the various secluded places on the Alqueva Lake in search of calmer and sheltered spots, beautiful landscapes, and the simple contact with nature. "A truly great experience! Very professional approach." 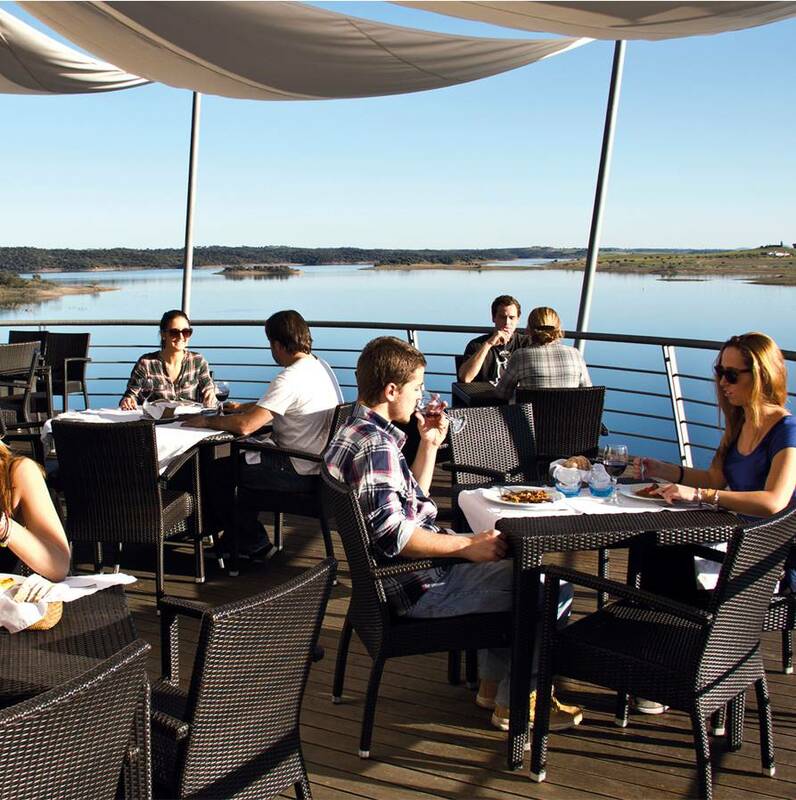 “The Alqueva Lake is beautiful – together with the fantastic landscape of the Alentejo it has become one of the most interesting places we have ever visited. The service and helpfulness of Amieira Marina is outstanding. We will be back for sure." 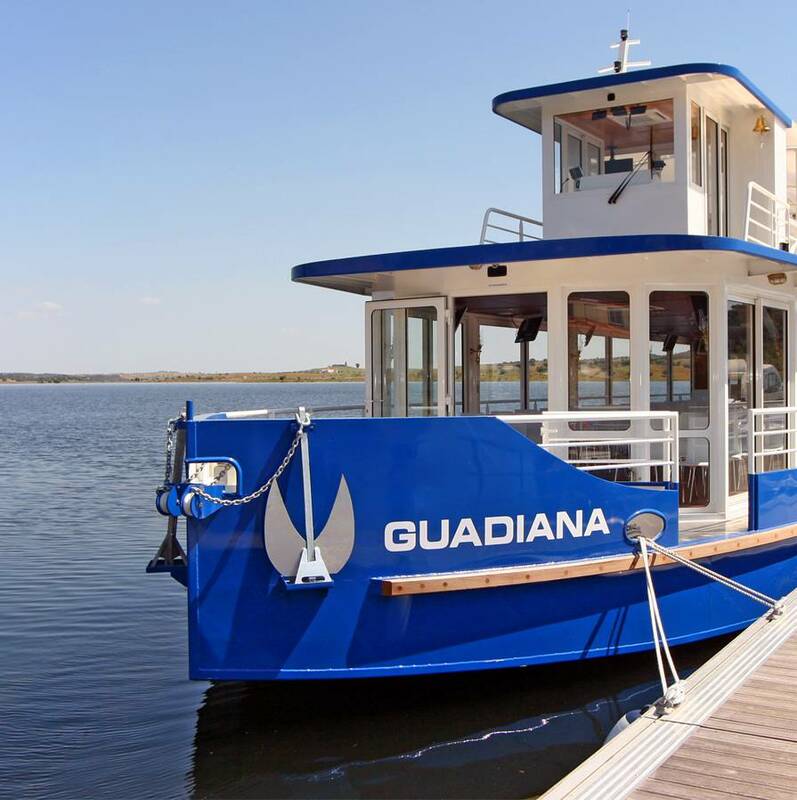 "It was most memorable experience for me to have a yacht cruise in Lago Alqueva during my visit to Portugal. I really enjoyed excellent service and friendship of Amieira Marina."